Research shows proficient readers read 67 minutes a day! Welcome to Maine East's Summer Reading 2016! Are you up to the challenge? This year we have provided 30 great selections for our Summer Reading! Now it's up to YOU! Need help finding what to read? Check out our Find A Book Page to help you locate your read based on genre, reading level, accessibility! Students who had access to Reading Plus during the 2015-2016 school year, may continue to increase their fluency and comprehension scores. Complete two SeeReaders per week and your reading grade level will increase by two. ﻿This free program begins with a 10 minute pre-assessment. Based on the results, you will be placed at your independent reading level with passages and reading comprehension questions. The program will graph your progress over the summer. This online newspaper offers current articles at five different Lexiles. Keep current on world affairs, politics, sports, and entertainment while reading 67 minutes daily. 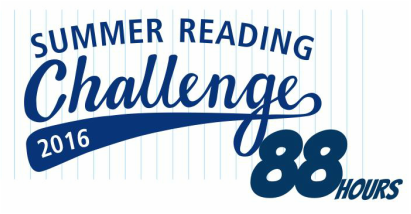 Join class V4KVVX for Maine East's 2016 Summer Reading. The program will graph your progress over the summer. This website links newspapers from nations across the globe. Read in your home language or practice skills in a new language.